Robin Bright and Adam Matthews have enjoyed their summer holiday and are now bracing themselves to return to their respective jobs: Robin is a Detective Chief Inspector and Adam a deputy head in a local school. The pair have lots of changes to plan in the near future as they contemplate their marriage and moving to a new house. Determined to enjoy the last days of the holiday, they take their Newfoundland dog, Campbell, for a walk. Their happy day turns into a nightmare when they hear a shot and, running to investigate, discover a dead dog. Robin is used to the dangers of his job, and has become resigned, albeit unwillingly, to the fact that Adam is occasionally at risk, but the thought that someone could harm Campbell appals them both. Although Robin is not in charge of the investigation into the shooting of the dog, his first serious case as he returns to work is clearly linked with it, when a man is found shot to death at the residence of the owner of the dead dog. The house (and the dog’s owner) is reported to be a man named Britz, but Robin recognises a photo and realises that Britz is in fact Harry Wynter, a teacher who had helped to make his school days hell. The victim’s face is too badly damaged to identify, and Robin tries to discover whether the dead man is Wynter or whether Wynter has run away, possibly because he is the murderer. He and his team also want to investigate whether the murder is in some way connected with Wynter’s interest in an old case involving the death of a local boy in 1941. Nine-year-old Tommy Burley had wandered away from home and his body was discovered in woods on the nearby Rutherclere estate. Official records said that Tommy had a weak heart and had died of natural causes, but several conspiracy theorists claim that he was murdered, and the truth was covered up and the newspapers have dubbed him the Babe in the Wood. While Robin is struggling to investigate the murder and not allow himself to be influenced by the memories of Wynter’s bullying, Adam also probes into the past, meeting some old friends and acquaintances in an attempt to help his lover discover the truth about the killing of both man and dog. All the time both men are afraid that danger threatens their own beloved dog. 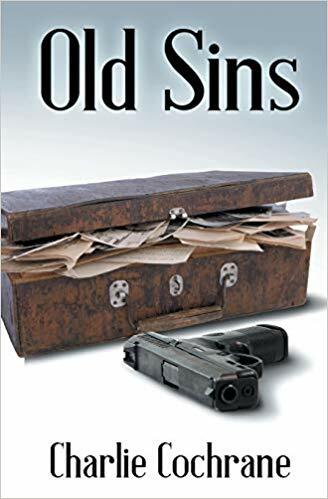 Old Sins is the fourth book in the series featuring Robin Bright and Adam Matthews, and of course Campbell the dog. This is a series that gets better all the time and this book is excellent, with an interesting plot, lively dialogue and engaging protagonists. The author has only one problem, she has made Campbell so endearing that he is going to have to be the longest-lived dog in fictional history, because his fans will never allow her to kill him off. Old Sins is a thoroughly enjoyable book. A page-turner. Charlie Cochrane couldn't be trusted to do any of her jobs of choice—like managing a rugby team— so she writes. 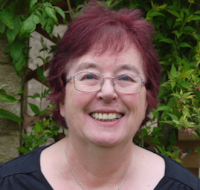 Her favourite genre is gay fiction, predominantly historical romances/mysteries. 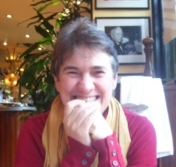 A member of the Romantic Novelists’ Association, and International Thriller Writers Inc, Charlie's Cambridge Fellows Series, set in Edwardian England, was instrumental in her being named Author of the Year 2009 by the review site Speak Its Name.